Your skin is the only barrier between your body and the outside world. Women like to use makeup, lotions and fragrances to improve their outward appearance, but those beauty items may be harmful to your health. Though your skin is tough, you still need to be careful of what you put on it. Knowing the ingredients of the makeup products you use can help you to make more informed decisions and protect your skin, body and health. The following compounds can be found in MAC eyeshadows. 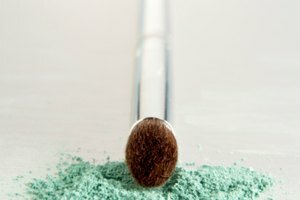 Talc is a naturally occurring mineral used here as the bulk of the powder eyeshadow. It also absorbs moisture and makes the eyeshadow opaque. This is an anticaking agent that also adds color and can be used to increase the thickness of the eyeshadow. This compound is derived from stearate, a naturally occurring fatty acid. It is a conditioning agent that slows the rate of water loss from the skin. This binds the ingredients together while conditioning the skin. This chemical is more commonly known as vitamin E. It is a skin conditioner as well as an antioxidant. Doctors warn that too much vitamin E can be harmful to your health. This is yet another skin conditioning agent. It is also being used as a preservative in a blend with phenoxyethanol. Hexylene glycol is a humectant. 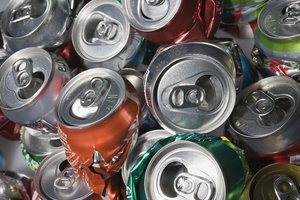 Glycols have gotten a bad rap for their supposed toxicity; they are said to cause liver and kidney damage. This is true, however, only of concentrations at 100 percent. 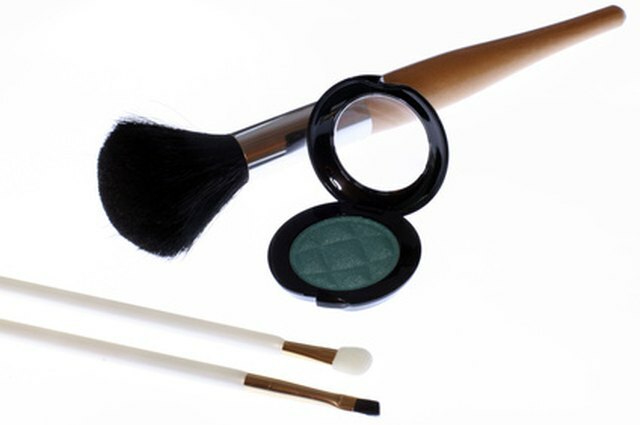 In eyeshadow, the concentration of hexylene glycol is very small and safe. It is there to keep the product from changing texture in extreme heat or cold. This is a preservative. It is used in combination with caprylyl glycol. Silica occurs naturally in the environment and is used as an absorbent powder. Mica is added to give the eyeshadow luster and shine. The following compounds are coloring agents and may be present, depending on the particular shade of eyeshadow you have chosen: titanium dioxide (Cl 77891), iron oxides (Cl 77491, Cl 77492, Cl 77499), bismuth oxychloride (Cl 77163), blue 1 lake (Cl 42090), carmine (Cl 75470), chromium hydroxide green (Cl 77289), chromium oxide greens (Cl 77288), ferric ferrocyanide (Cl 77510), manganese violet (Cl 77742), red 40 lake (Cl 16035), ultramarines (Cl 77007), yellow 5 lake (Cl 19140) . Mona Louis began writing professionally in 2009. She writes frequently about photography and music, particularly the guitar. Louis is currently finishing up her Bachelor of Arts in communications and psychology at Arizona State University. What Are the Ingredients in Bare Minerals?